Kennemer Golf & Country Club was founded in 1910 and is located at Zandvoort, which is a popular Dutch seaside town that is better known for its motor racing circuit than its links golf course. The original track was nine-holes but in 1927 the club moved to its present location and Harry Colt was commissioned to design a course amongst the towering sand dunes. The result is a stunning course and must rank as one of Colt’s finest designs. Frank Pennink was commissioned in 1985 to design nine new holes and Kennemer now has 27 beautiful links holes. Each nine has a name, but they are also referred to as the A, B and C course. The A course is called Van Hengel (named after the Steven van Hengel who was a member and an eminent figure in Dutch golf), the B course is called Pennink and the C nine is called Colt. The original Kennemer course comprises of nines B and C and the Dutch Open course comprises of the A (Van Hengel) nine followed by holes 1, 2 and 3 of the B (Pennink) nine, followed by holes 4, 5, 6, 7, 8 and 9 of the C (Colt) nine. 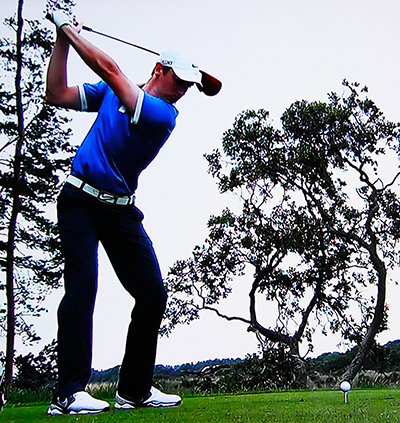 The course is undulating through dunes, gorse and few pine trees. Seve Ballesteros won his first professional golf tournament here in 1976 and fellow Spaniard José Maria Olazábal followed suit in 1989 by winning the KLM Dutch Open on this track. 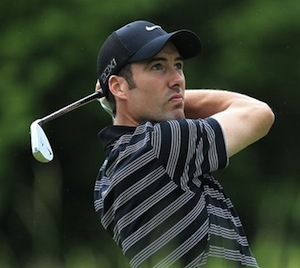 A player who does come into this week in great form is Ross Fisher 16/1 after his 63, 66 finish at last week’s Omega European Masters. We have backed Ross a few times this year, only for the Surrey man to throw in a bad final round like his 77 at the Wales Open, and a 72 when in contention at the Johnnie Walker Championship. Hopefully last week’s finish will put him in good stead here this week. Simon Dyson 18/1 just seems to love playing in the KLM Dutch Open, no matter what course it’s played on. Simon has won this event at both the Hilversumsche Golf Club and the Kennemer Golf & Country Club where this year’s event is to be held. I must at this point hold my hands up and admit I thought Dyson would have been challenging at major events after a great year in 2011. But the Yorkshireman if anything seems to have gone backwards and only has two Top 10s to his name this year. I am hoping that this event, which he has won three times since 2006, sees him back to playing some of his best golf. 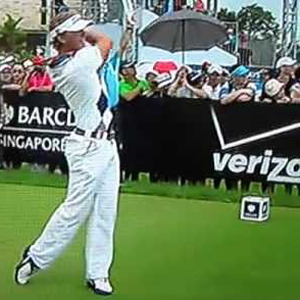 Some players find it hard to perform in front of their home support but Joost Luiten 20/1 did have a sixth place finish in this event in 2011. I did tip Joost last week but only one round in the 60s put paid to any chance he had of challenging even though he didn’t have a round over par. But as I said last week Luiten has ten Top 25 finishes from nineteen events so far this year on the European tour, six of those are Top 10s and one win, so I am hoping the home crowd pull him through to victory here this week. I think everyone knew it was only going to be a matter of time before Tommy Fleetwood 40/1 won his first European Tour event and after he bagged the Johnnie Walker Championship, Tommy was challenging again at last weeks European Masters – I think you can forgive the missed cut at the Wales Open a week after his win and put that down to the celebrations – His opening round of 65 last week shows the lad from Southport will not be resting on his laurels this year. 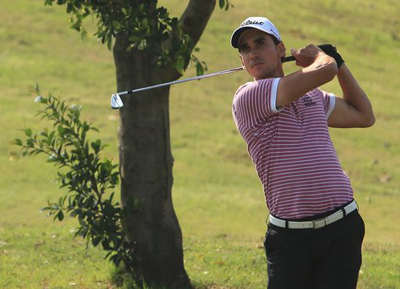 It’s been a while since we tipped Rafa Cabrera-Bello 40/1, due to his loss of form – Rafa was another player that I thought would kick on this year – Its not that Cabrera-Bello was missing lots of cuts – he has only missed four cuts from twenty-two starts – It’s been his lack of competitiveness. Rafa was not out of the Top 25 in his first five tournaments, but only has four other Top 25 finishes since March, two of those coming in his last four starts, which is the reason why he is being tipped this week. This week’s outside tip is going to be Mikko Ilonen 80/1 someone I was surprised to see this far down the betting odds, even if he did miss the cut when I tipped him last week. Mikko is a very emotional player and is probably beating himself up after his great run of events winning one and two runners-up finishes from five tournaments, something he admits holds him back. Hopefully the Fin will get back to that calm demeanor that will see him start challenging again.